February was fun - Rohin placed 16th in the Kona Odyssey, with Alan pretty chuffed with his 50k effort. It was a hot day and Rohin recommends getting a good sleep before by NOT sharing a room with someone who snores ....Alan? We've also been up in Avoca riding the trails and clearing them in prep for the Marathon Challenge, the track has never looked so good - especially "Sam's Cherry" which has bedded in nicely since it was built late 2011. So unfortunately March kicks off with the sad news that this will be the last year we run the Marathon Challenge. After so much work has been put into the area by the team, it was a very difficult decision to make – but it hasn’t all gone to waste as we will still be developing the single track in the Pyrenees forest, and putting on our trail running event “Run From The Hills” in November. As you've read above this will be the LAST Marathon Challenge - please see the full media release for more details - therefore we're making it a celebration of the 4 years we've spent up in Avoca. Degani Bakeries and Endura are supplying goods for the feed zones, Ground Effects have sent us prizes and all our Avoca Primary School volunteers are on board again. 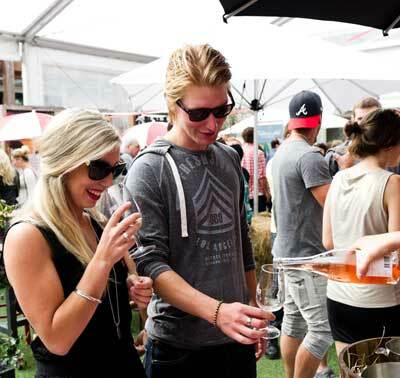 Melbourne Food and Wine Festival is in Avoca on the Saturday (19 wineries offering wine tasting) and FREE camping at the winery on the Saturday night - it's set to be a good one. If you always thought "One day I'll take on the Marathon Challenge" then this will be your last chance. 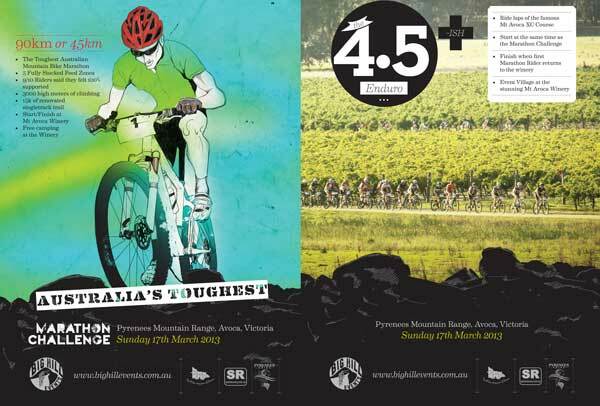 Otherwise, not feeling up to the full challenge but still want to experience what a quality event is like at a beautiful location - why not take on the 4.5-ish Enduro; using the 2012 State XC course around the Mt Avoca Vineyard enter as solo or pairs; with the Enduro finishing when the first Marathon rider returns from the Marathon Challenge! The day before the Marathon Challenge and the 4.5-ish Enduro (Saturday the 16th) the Melbourne Food and Wine Festival is coming to Avoca - 19 wineries from the Pyrenees Shire are holding a tasting, farm food, lectures and workshops down by the river. We've had a little flury of entries early on for the Dirty Grand Fondo already - and rightly so because early bird prices end on the 1st of April. 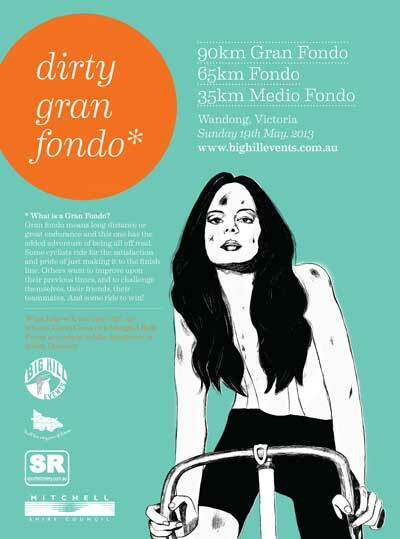 Choose your distance, choose your ride, choose the Dirty Gran Fondo. To Marathon Challenge or to 4.5-ish Enduro?